My apologies for not supporting IE 6. Unfortunately, IE 6, which was released in 2001, is very different than other, more modern browsers, and being a very small company, we just don't have the resources to support our user interface functionality on that platform. We continue to explore ways of supporting it, but I can't promise if or when that will happen. In the mean time, if you don't wish to upgrade IE, Firefox 3.0 will coexist peacefully with it, and is fast, stable, and free. 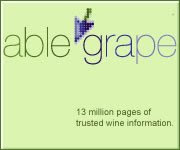 That might be worth a look, and takes only a moment to install - we'd love to have you as an Able Grape user. Deb, for what it's worth, I'd recommend downloading and using Firefox. It's much more stable and has the juice to deal with contemporary websites, and its free. You can keep IE6 on your computer for the .0001% of sites that require IE.